PT Toyota-Astra Motor – TAM or known as “Toyota-Astra Motor” a reputable and leading privately-owned company in Indonesia, that is involved in automotive industry. Toyota-Astra Motor operates primarily as a sole distributor of all Toyota and Lexus brands in Indonesia. Toyota-Astra Motor has core business competencies in the field of distribution and import of Toyota brand vehicles in Indonesia. PT Toyota-Astra Motor is a multinational joint venture company between Indonesia PT Astra International Tbk (Astra Group) and Japan Toyota Motor Corporation (TMC). As today, Astra Group holds 50 %% shares in Toyota-Astra Motor and 40% remaining shares was owned by TMC. Domiciled in Jakarta, Toyota-Astra Motor now supported by 5 main dealers spread in all over Indonesia, comprise of PT Astra International Tbk – Toyota Sales Operation (Auto2000), PT Agung Automall, PT Hasjrat Abadi, PT New Ratna Motor (Nasmoco), and NV Hadji Kalla Trd Co. 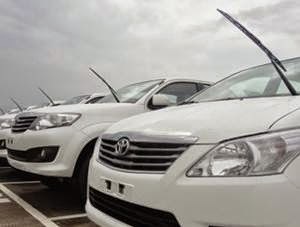 According to information found in Toyota-Astra Motor’s website as cited by JobsCDC.com, Toyota has had a presence in Indonesia for more than 48 years. In 1969, Astra Group was appointed as the distributor of Toyota vehicles in Indonesia. PT Toyota-Astra Motor was formed officially in 12 April 1971. In 2003, Astra Group and TMC reorganized Toyota’s business in Indonesia through 2 companies; PT Toyota-Astra Motor to focus on distribution and PT Toyota Motor Manufacturing Indonesia (TMMIN) to focus on manufacturing and export of Toyota brand vehicles.